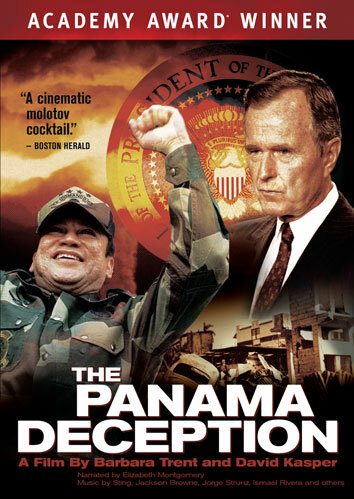 Brief Synopsis – A documentary telling the true story behind the US Invasion of Panama in 1989. My Take on it – I’m not much of a fan of documentaries, but every so often, I am convinced to watch one and a few times have been really surprised at the quality. The viewing of this one came about after a conversation with JJames during which I was reminded about a personal connection to this movie. (Thanks JJames)! In May 1993, 3 months after this movie won Best Documentary at the Oscars, I actually met Director/Producer Barbara Trent in a Comedy Club in suburban Detroit. She sat down at the table next to my friends and I and she had her newly won Oscar with her. We were all listening to a set by Richard Belzer and I asked her if the Oscar was real. In lieu of selling me the Oscar, she at least let me hold it. So I can honestly say that I have held an real Oscar in my hand once in my life. The movie itself opened my eyes to some very interesting facts about the invasion of Panama that I had never known about. It was articulate and kept me interested throughout the entire 90 minutes of viewing time. Bottom Line – Interesting documentary that seems to really break the story about the truth behind the invasion. Recommended!